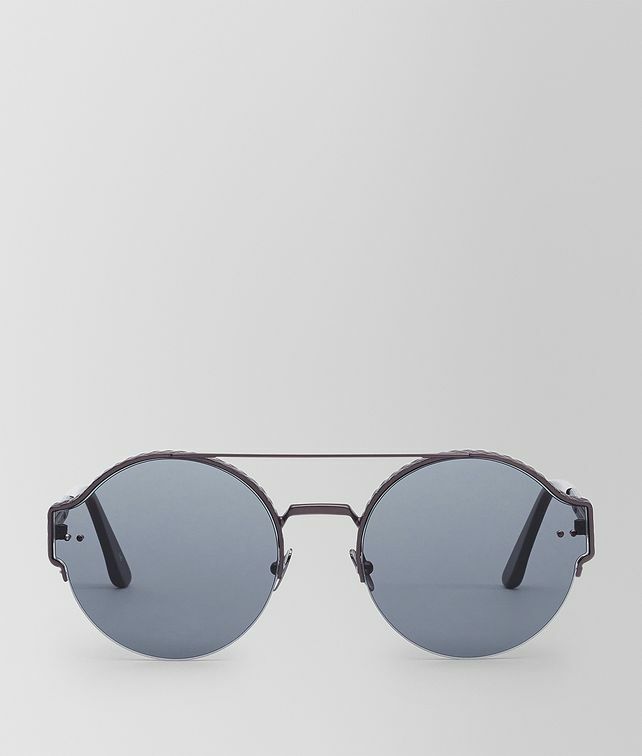 The sleek and ultramodern metal construction of these sunglasses makes a sophisticated style statement. The semi-matte black metal frame is finely engraved with the intrecciato motif and features slim metal temples, finished with transparent tips. Distinctive semi-spherical rivets accent the design, together with the Bottega Veneta logo subtly engraved on the inside of the temple. Solid ultra brown lenses.